We have imposed press censorship to stop the spread of rumours," declared Vidya Charan Shukla, then information and broadcasting minister, on 25 June 1975, at a press conference in New Delhi. The Emergency was announced later that day, but prime minister Indira Gandhi had already appointed Shukla, replacing Inder Gujral, for the job. “But why stop the spread of humour?" retorted Abu Abraham, then the editorial cartoonist at The Indian Express. The rising tension in the room somewhat dissipated. This is one of many anecdotal footnotes about Abraham in Out Of Line: Cartoons, Caricature And Contemporary India, an Orient BlackSwan title of last year, by Christel R. Devadawson. The book assesses the evolution of graphic satire in India—from the trailblazer Kesava Shankar Pillai, who satirized astute British viceroys and infallible nationalists, to the diffused, unmeditated politics of a modern cartoonist like Aseem Trivedi, who was arrested on charges of sedition in 2012. Abraham is one of Devadawson’s most interesting subjects, a man with firm fibre for dissent, as well as sympathy for the Congress party as a national entity. He was one of many political cartoonists who emerged from Kerala, starting at the legendary Shankar’s Weekly, Pillai’s cartoon journal which started soon after independence. 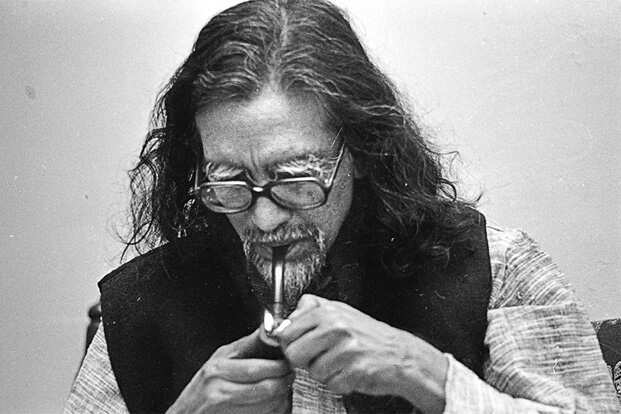 Abraham went on to work with The Indian Express, lampooning Indian politics till his death in 2002. Others from Kerala, like O.V. Vijayan, Ranga and Kutty, also featured in Shankar’s Weekly. Vijayan was scathing in his panels during the Emergency, and so was Abraham—interested not just in summarizing, but constantly castigating and warning. The first ever cartoon of E.P. Unny—who draws “Business As Usual" in The Indian Express—was published in Shankar’s Weekly. “It had a phenomenally wide institutional reach," says Unny. It had Jawaharlal Nehru’s tacit support. On 17 May 1964, 10 days before his death, Pillai drew a portrait of an emaciated prime minister, a torch in hand, running the final leg of a race with party leaders Gulzarilal Nanda, Lal Bahadur Shastri, Morarji Desai, V.K. Krishna Menon and Indira Gandhi. Nehru responded, “Don’t spare me, Shankar."